Landor is a global leader in brand consulting and design. We are currently seeking a Presentation Specialist to support our business development team in the New York office. A global leader in brand consulting & design, Landor helps clients create agile brands that thrive in todays dynamic, disruptive marketplace. Our work enables top brandsfrom Barclays to BMW & Tide to Tajto stand for something while never standing still. 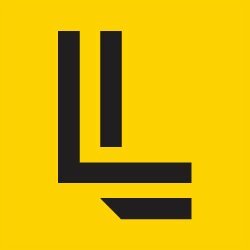 Landors branding services include strategy & positioning, identity & design, motion graphics, brand architecture, prototyping, innovation, naming & verbal identity, research & analytics, environments & experiences, engagement & activation, & interactive & media design. Founded by Walter Landor in 1941, Landor pioneered many of the research, design, & consulting methods that are now standard in the branding industry. Today, Landor has 26 offices in 19 countries, working with a broad spectrum of world-famous brands. Clients include Alitalia, Barclays, Bayer, BBC, BMW, BP, Cracker Barrel Old Country Store, FedEx, GE, Kraft Heinz, Huawei Technologies, Marriott International, Nike, Pernod Ricard, Procter & Gamble, S&P Global, Samsung, Sony, & Taj Group. Reporting to the Business Development Director, & under the design direction of the Executive Creative Director, the Business Development Presentation Specialist will deliver the best possible creative solution for the needs of the business development team & Landor as a whole. Working closely with Landor leaders, youll demonstrate the ability to tell a story through a PowerPoint presentation, engage an audience through design, & support individual teams as they pitch & win new opportunities. You are an important member of the New York office, designing proposals, presentations, microsites & one-off custom pieces (booklets, posters, scrolls, etc.) to communicate our vision to prospective clients. As the gatekeeper for our design archives, youll be responsible for establishing & updating new business templates, & cataloging design assets. Youll also occasionally have the opportunity to be a resource to the entire New York office by assisting with client deliverables, internal presentations, & other design needs. A bright designer with a keen eye, a sense of humor, a taste for challenge & a passion for brands. If you are an independently motivated designer enthusiast who can think strategically, embrace multi-tasking, stay organized, accept change & sweat the details, we want to meet you. You will likely have 1 2 years of experience of agency or design firm experience, & advanced skills in PowerPoint, InDesign, Illustrator, Photoshop & Word. Additionally, youre familiar with Keynote, Excel, Project & WordPress, & have experience or passion in video, html, or photographic art direction. You likely have a Bachelors in graphic design, communication, design, fine arts, or a related field. To learn more about Landor & why you need to join us, click here.www.landor.com.